A child I have the privilege of caring for lost one shoe from the only decent pair of shoes he had that fit. 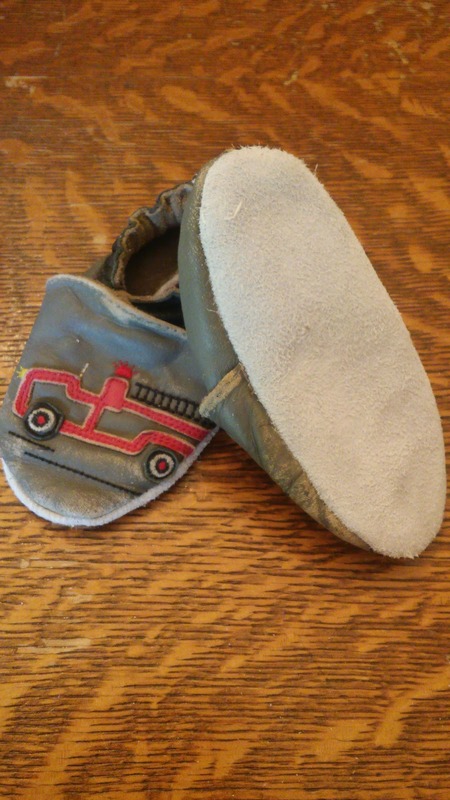 Ugg, he had a second pair, but as they had fire trucks on them, they used to be his favorites, thus they were worn out. Yep both shoes had holes in the soles. 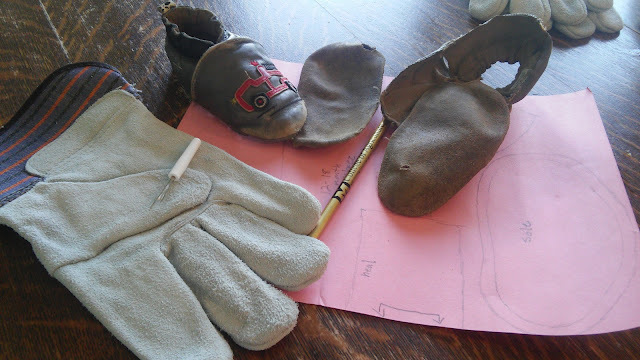 While trying to find something to put on the kid's feet so we could go outside one morning, it hit me, since these were soft leather shoes I could just re-sole them if I could get my hands on a piece of leather for a decent price. Hmm, would cheap leather gloves be big enough? I decided to give it a go. Well, it worked! Less than a half hour later the shoes had new soles, and as soon as the toddler woke up from his nap they were tried out and received no complaints! To read the whole story, with more pictures of course, check out my blog post! I love this idea. 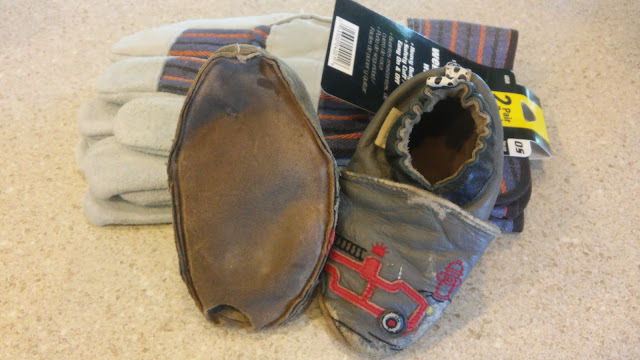 Little ones wear those soft shoes out so fast, This is brilliant.